The University of Chichester’s new Tech Park is officially open – by Royal appointment. 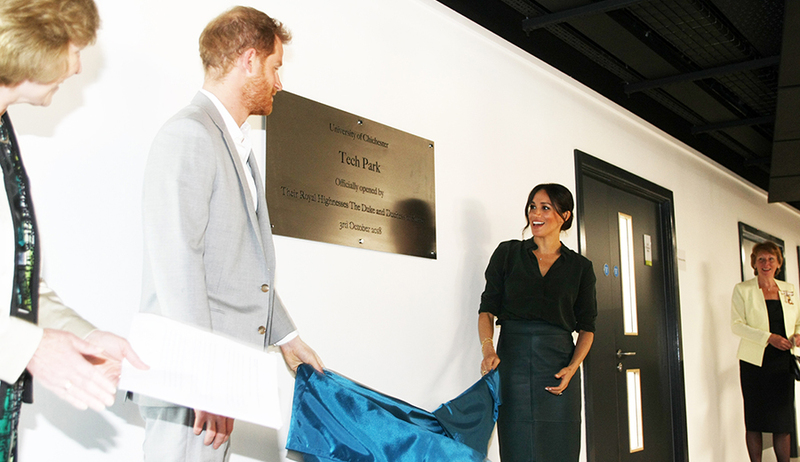 The Duke and Duchess of Sussex were greeted by students and staff to unveil the new £35million development, located at the institution's Bognor Regis campus. The Tech Park, which is open to students from now, brings together degree courses in Engineering as well as Creative and Digital Technologies to create a new area of academia in STEAM – Science, Technology, Engineering, Arts and Mathematics. 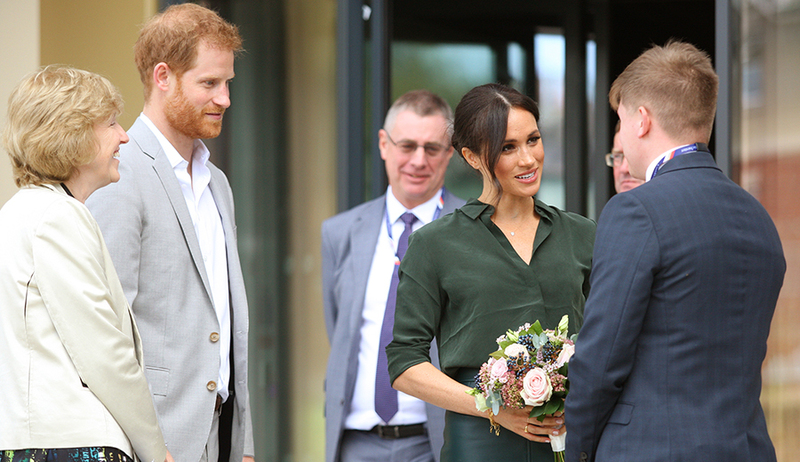 As part of the visit, the Royal couple were welcomed by University academics, students, and guests, including staff who are active members of the Armed Forces reserves. They first visited the Tech Park's animation studios designed by Max Tyrie, Head of 3D Animation and VFX, who is a BAFTA award-winning animator and has worked on the Kingsman films and Spiderman franchises. Steph Kidson, 19, is studying 3D animation. She said: "They're lovely, and were very interested in what we are doing. They know a lot about the industry so we could relate to what they were saying to us." 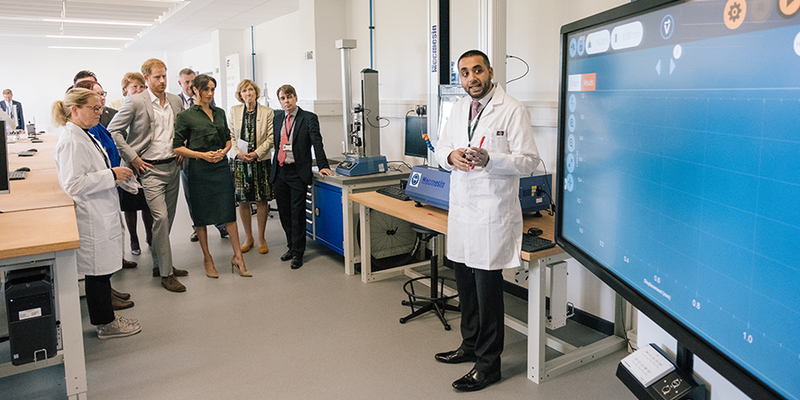 From there the Duke and Duchess walked to the Engineering labs to undertake a live-action stress-testing experiment using state-of-the-art Mecmesin tensile equipment. Engineering students including Louise Grainger, who was born, raised, and schooled in Bognor Regis, was involved in the experiment. 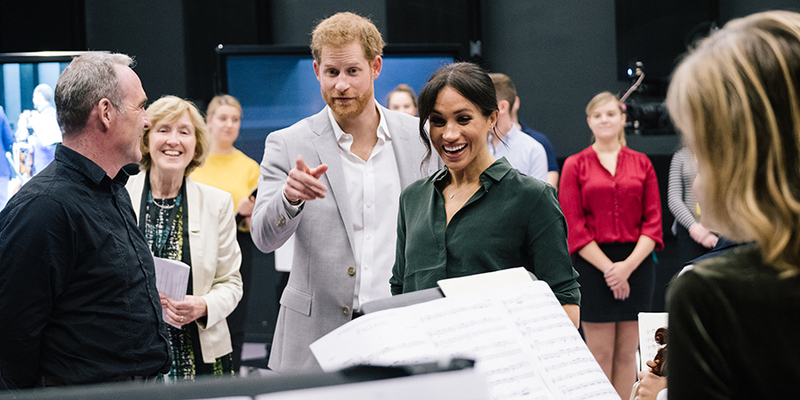 The Royal party then visited the Sound Stage: a 300 square-metre, three-storey space which is one of only three in the south capable of accommodating a professional orchestra. Here they oversaw Creative and Digital Technologies students as they filmed a live-rehearsal of the University orchestra – and were invited to get involved in the action. Next to the space is a dedicated 75 square-metre green screen stage, alongside nine editing suites, and a dubbing and master suite, professional recording studios, and live room with screening theatre. Welcoming the Royal couple was Vice-Chancellor Professor Jane Longmore, who said: “It is an honour to have been chosen as part of The Duke and Duchess of Sussex’s first official visit to the county. We are delighted they have agreed to undertake the task of formally opening our magnificent new Tech Park. The Tech Park’s newly-launched Engineering department combines purpose-built, state-of-the-art workshops, laboratories, and equipment with an innovative approach to learning which takes on board input from the commercial sector, designed to produce well-rounded, creative engineers who meet current and future requirements of industry and beyond. The team works collaboratively with the University’s existing Creative and Digital Technology department, now located at the development, to build on its already-established international reputation in the world of film, animation, special effects, gaming, and supporting skills such as screenplay and score writing. For more about Tech Park at the University of Chichester go to steam.chi.ac.uk. To view more photos from the Royal visit go to www.facebook.com/UniversityofChichester.